My own personal poetry about the struggle of self acceptance as well as the hardships I have endured. I began writing when I was in middle school and have been writing ever since. This is my very first book and I am honored to share it with you all. I chose not to add any artwork because I did not want the readers to be distracted or influenced by it. 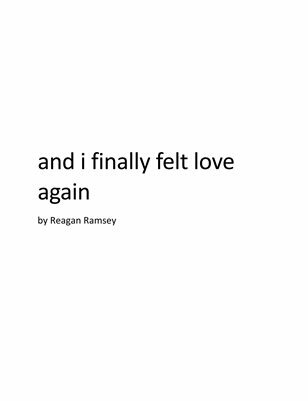 I am releasing my writing in the most honest and raw form possible, I hope you enjoy.